Rather than an expensive, clunky piece of software taking up space on toxicology laboratory computers, ToxFusion lives in the cloud. This hosted toxicology portal is delivered as Software as a Service (SaaS) solution. 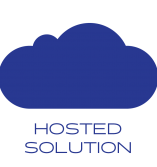 One of the benefits of having a hosted solution is the ease of implementing the portal at client sites. No need to hire a team of network engineers to install computers, servers, and software in medical offices. Toxicology labs can onboard new clients themselves in minutes and even view client portals to troubleshoot.